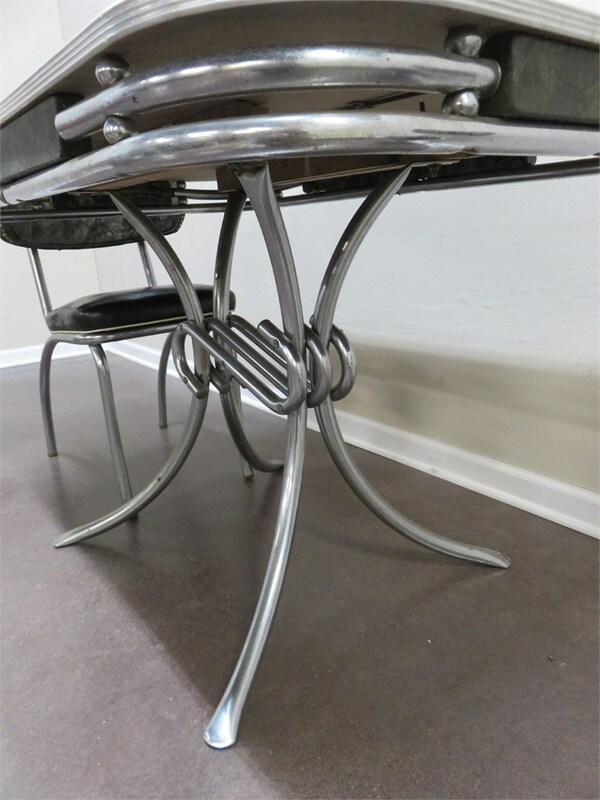 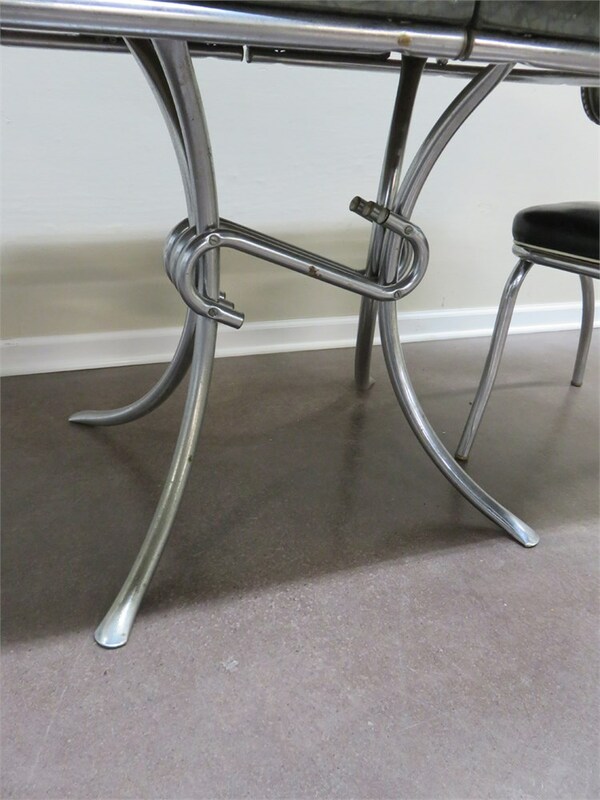 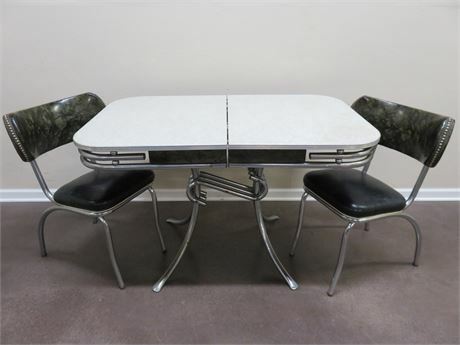 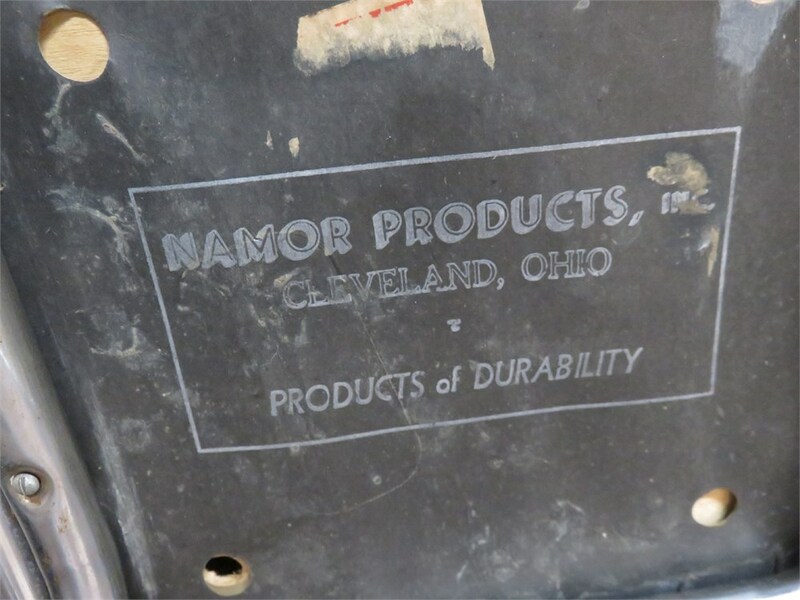 A vintage 1950s era retro dinette table and chairs set from Namor Products Inc. 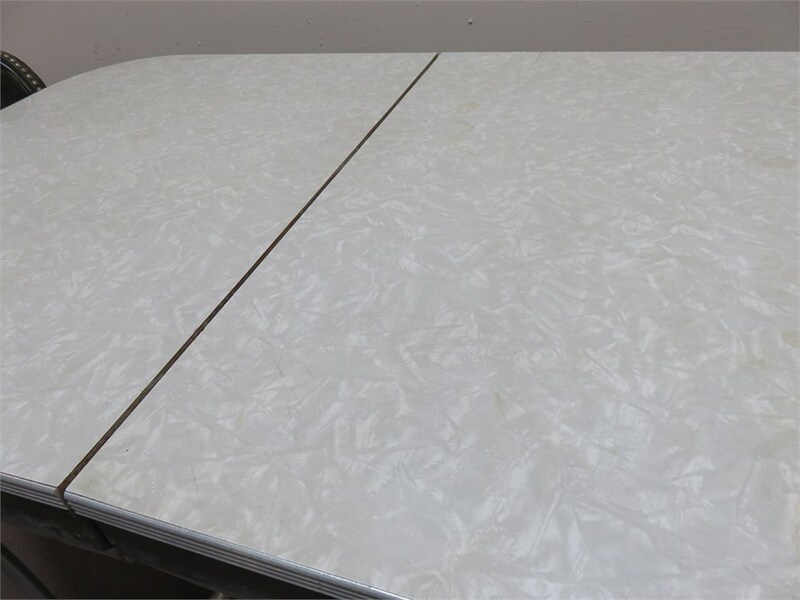 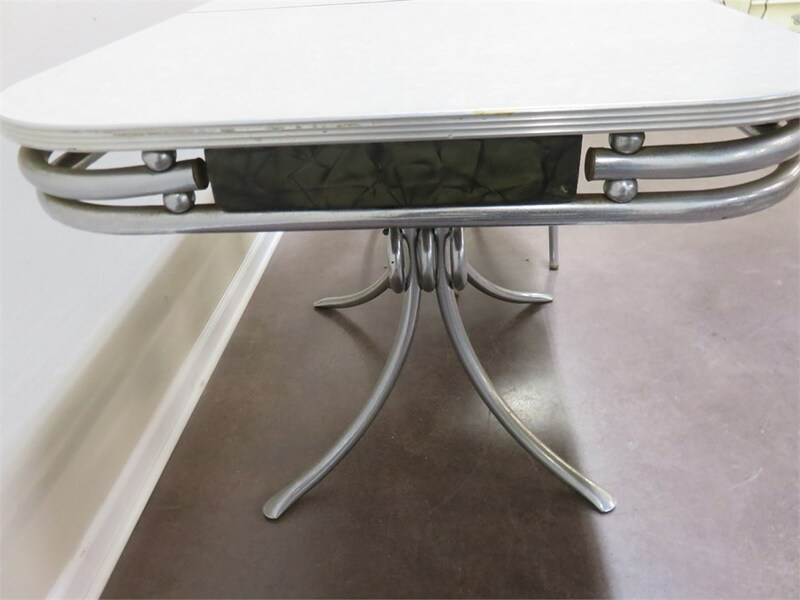 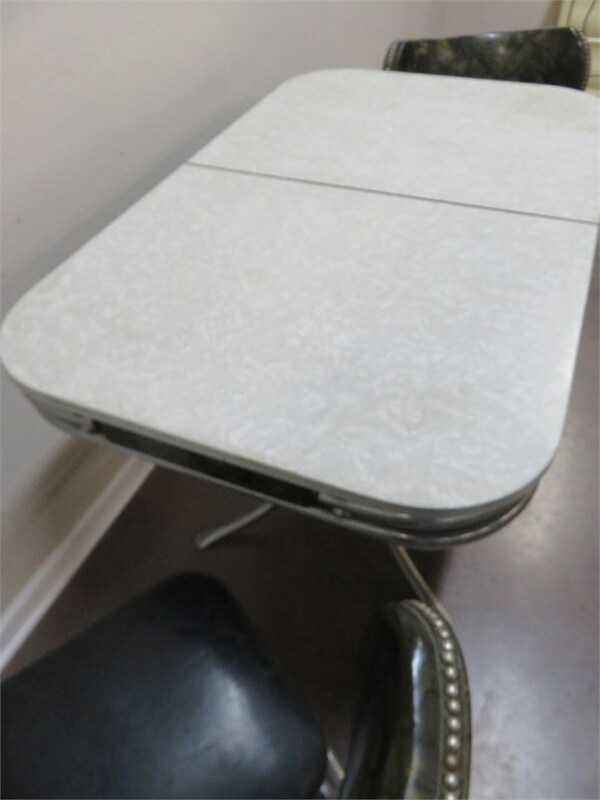 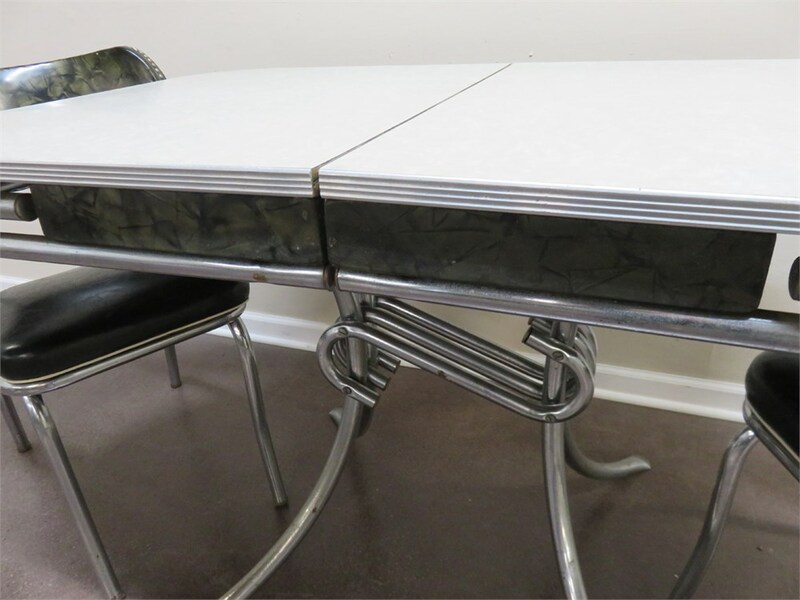 Featuring the classic cracked ice table formica top design and chrome trim, this table shows some discoloration in a few areas. 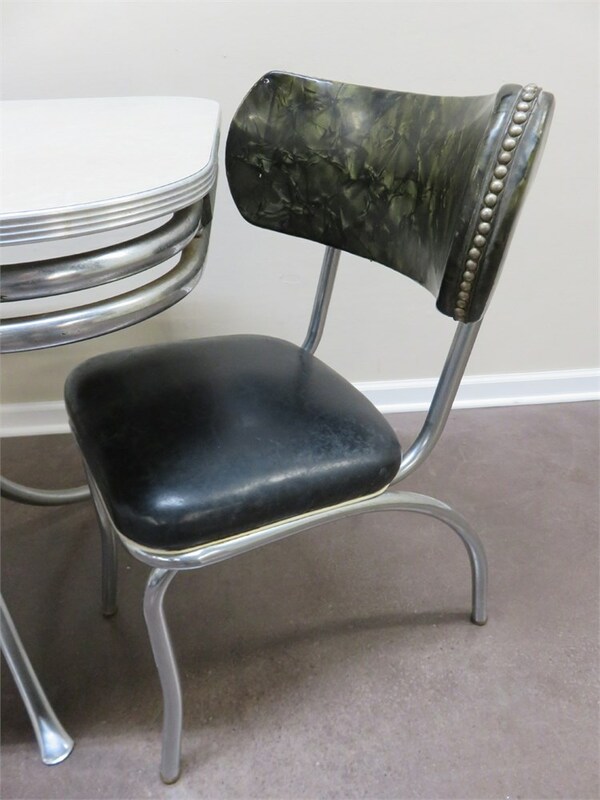 The matching chairs have vinyl cushion seats and nailhead trim. 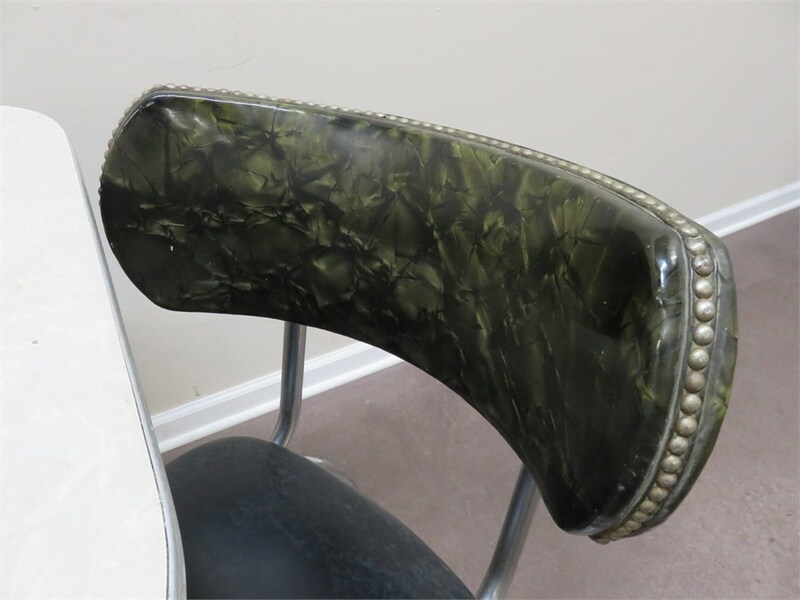 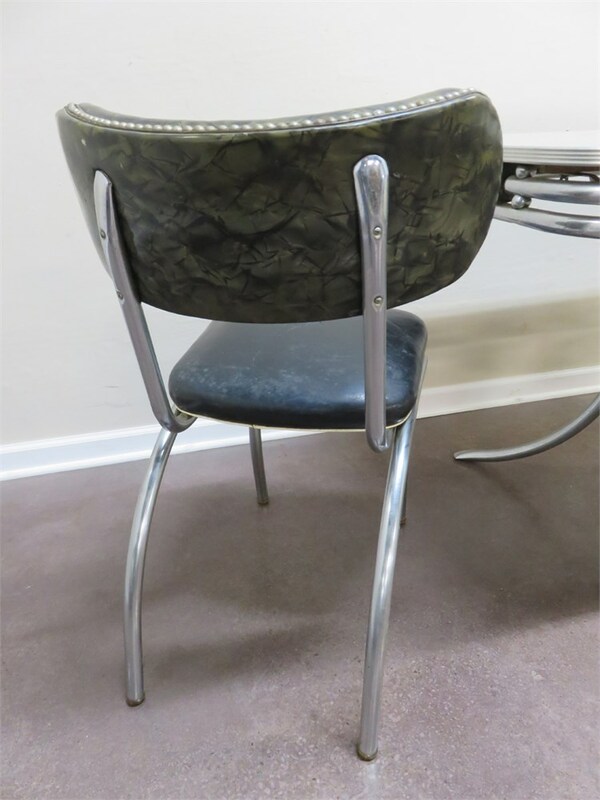 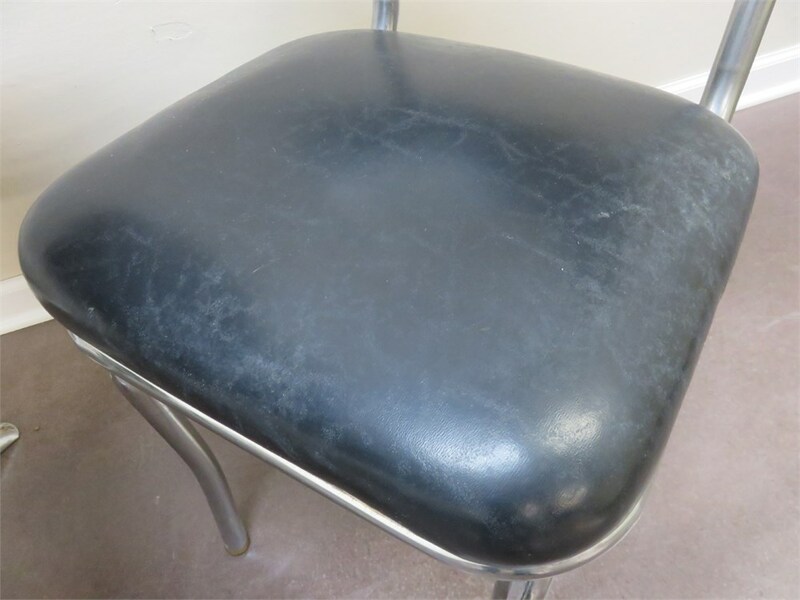 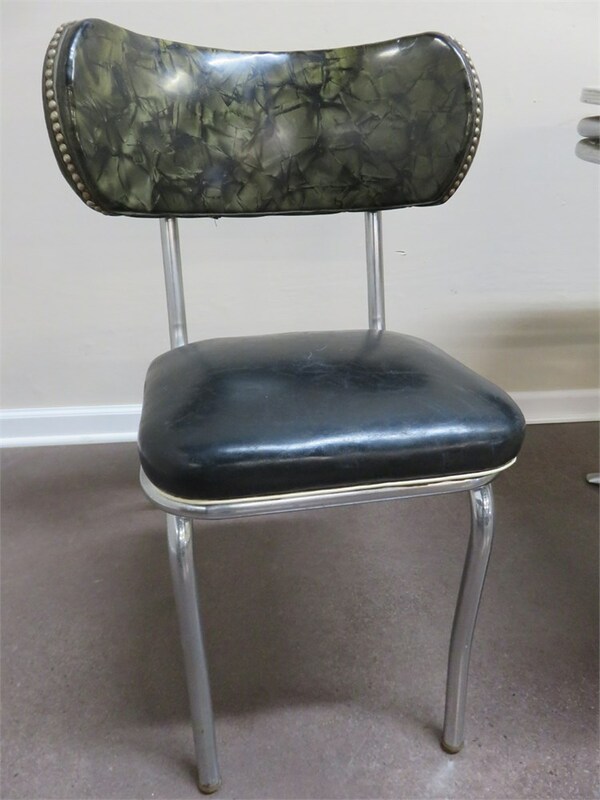 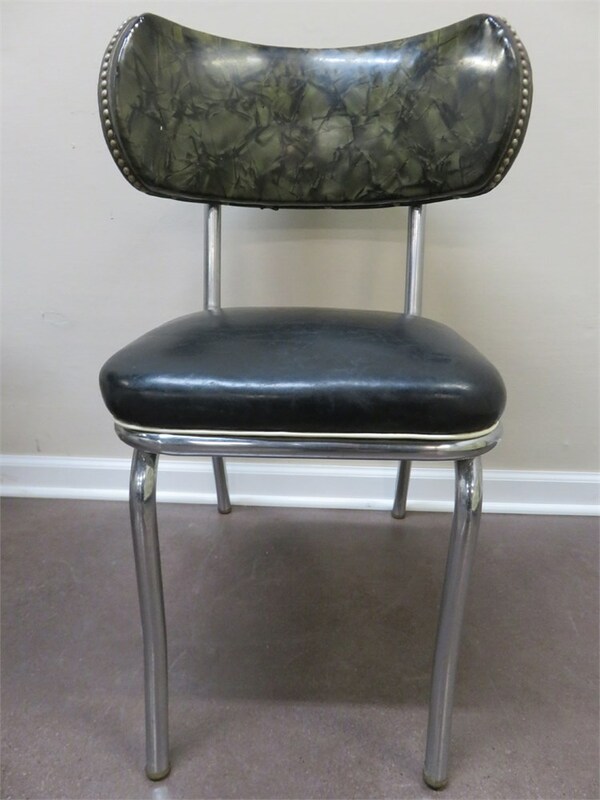 Both chairs are in very good condition aside from the chrome legs, which do show typical signs of wear from age and use.